After a huge victory over rivals Manchester United, Arsenal are finally on-course to finishing in the top-four this season. North London rivals, Tottenham, sit third in the EPL standings, but they are only a point above the Gunners. The Lilywhites have not won in their last four EPL matches while Arsenal's domestic form is getting better and better as the weeks go by. It is just Unai Emery's first season in-charge and halfway through, there are already fans calling for the manager to be sacked. The Gunners were embarrassed by Liverpool when they played at Anfield. Their form dipped after losses to Southampton and West Ham. However, the team is now starting to find their rhythm again and the players could continue this fighting spirit all the way until the season ends. If Arsenal were to qualify for the UEFA Champions League at the end of this season, credit ought to be given to both Emery and the players. Some players have played an enormous role in the buildup to this race for a top-four finish and here is a look at the three key players for Arsenal this season. The German shot-stopper first found himself on Arsenal's bench when the new season began. Petr Cech was still Emery's first choice keeper back when the season started until the former was injured. Thereafter, Leno took over and Emery never looked back. Cech, who will be retiring after this season, has been used sparingly by the manager. 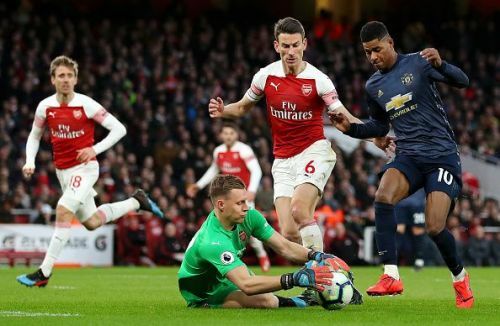 His appearances have been limited to the Europa League and cup matches, something which David Ospina had experienced in the last few seasons. As Leno starts to get the hang of things in the EPL, the future of Ospina looks bleak. The Colombian has been loaned to Napoli this season while Cech stayed behind as the backup keeper. Initially, Emiliano Martínez was also one of the keepers in the first team, but the Argentine joined Reading on loan in the winter transfer window. This goes to show that Emery has confidence in both Leno and Cech that they will see the team out for the rest of the season. 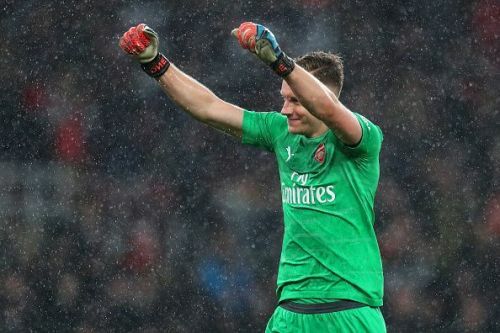 Fans can hardly remember when was the last time their side had kept a clean sheet, but Leno has been impressing fans with a series of superb saves when Arsenal faced Tottenham, Bournemouth and Manchester United in recent days. Unexpectedly, the German keeper managed the impossible- keeping a clean sheet against United. If not for his bravery and commitment, Arsenal could not have won the game.